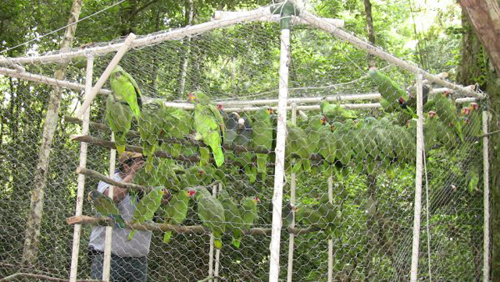 On the 21st of November, the Wildlife Rescue and Conservation Association (ARCAS), in collaboration with its governmental counterpart, the National Council of Protected Areas (CONAP) and with funding support from the World Parrot Trust, released 80 parrots in the Rio Azul-Mirador National Park in northern Guatemala. The released birds included 52 Red-lored Amazons (Amazona autumnalis), 16 White-fronted Amazons (Amazona albirons), 5 Mealy Amazon (Amazona farinosa) and 7 White-capped Pionus (Pionus senilus). The birds graduated successfully from an arduous, two-year rehabilitation regime which included 6 months in quarantine, one year in pre-rehabilitation and 6 months in a 45 meter long flight rehabilitation cage, which included negative stimulation, moving perches and flight obstacles, and eating a combination of prepared and wild foods. 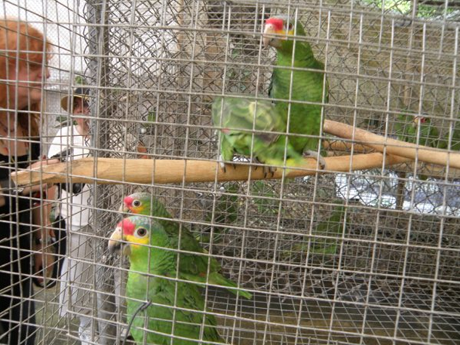 All of these birds were brought as chicks to the ARCAS Rescue Center by CONAP, a result of confiscations from wildlife traffickers working in the Mayan Biosphere Reserve (MBR). The birds were released in the Rio Azul Park, one of the most remote and pristine parts of the MBR, approximately 30 miles east of the newly discovered Mirador Ruins, and 30 miles south of the Mexican border. 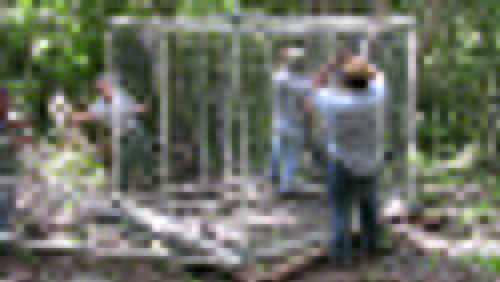 Post release monitoring was conducted for one week after the release. Three days after release, one autumnalis was found dead, apparently from malnutrition, and another was found dead, apparently from flying into a tree or other obstacle, as it was well fed and had no injuries. For the first few days of freedom, the remaining 78 parrots were observed flying in flocks and eating wild fruits, but hawks were soon observed in the area, and this seemed to have spurred their dispersal to other parts of the MBR.